Instrumentation issues are one of the most frequent topics of conversation when we speak with surgical services teams. Whether the issue is timeliness of turnaround, having the right instruments available, completeness of sets when opened, or contamination, these problems eat up vast amounts of time and energy and add real cost to the system. It doesn’t have to be this way! Click here to see some insights on instrumentation we recently shared with Surgical Products Magazine. High numbers of “stat” or rapid turn trays may actually be hurting you. Eliminate sorting, searching, re-prioritizing, and the waste of constantly changing by making sure every tray is processed quickly and correctly. 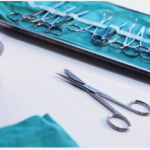 Reduce touches: the fewer times a tray is touched, and the quicker it is back into the sterilizer, the fewer opportunities to lose or “borrow” instruments. Less touches also equals less damage! Recent studies have proven it: getting instruments into the washer quickly is the best way to ensure proper decontamination. Soaking and wiping may actually make cleaning harder! 60% or more of your trays may be opened unnecessarily. Improving tray completeness and accuracy reduces both the time spent searching and the time spent opening and processing all of those extra trays. Large, custom trays are often obsolete before they are even fully implemented. Smaller, flexible trays combined with a highly effective process for supplemental items can reduce both OR and SPD delays and frustrations, along with thousands of hours of nurse and tech time. The OR and SPD have a tight customer-supplier relationship and should work in a highly reliable synchronization – this takes standard practices and well defined processes. Poor systems will beat good people every day.